The Polaroid M10 tablet is quite the device for those on a budget. Costing only $229, it comes with a 10-inch 1,280 x 800-pixel IPS screen, Android 4.1 Jelly Bean for buttery smooth Android experience, a quad-core processor and 16GB of expandable internal storage. The Polaroid M10 is just a well equipped tablet - it’s got HDMI-out, Wi-Fi connectivity, everything you’d expect from an Android tablet, except for the extremely affordable price tag. If last year tablets like this would cost $500, this year we see the third wave of tablets bring the prices down significantly. Polaroid’s slate comes with a 5-megapixel rear camera, and just like its 7-inch sibling, the Polaroid M7, it features a 2-megapixel front shooter for video chats. Id get this, just have to wait for the reviews. I don't mind a 720p screen as long as it looks decent. Sounds very good, we have to wait and see how it performs. Looks good just wish the resolution was better but then it'd cost more. This might be what I get my 9 year old for Christmas since he's ready to replace this Acer A100 and Black Friday deals on something like this will be sub $200 once it's been out for 6-9 months. Doesn't look to be stock android with the metro looking widget in the screen shot... Hopefully the devs at xda give this some love. 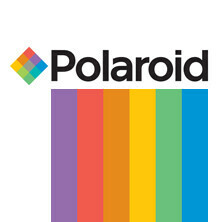 Also good to see Polaroid trying to stay relevant. isnt polaroid a camera company. yay they are entering into the tablet arena. nay on the fact that there is no identity to this tablet just another face in the crowd. not knocking the tablet i havent seen anything other then renders... but where is the emphasis on camera MP, optics, zoom... exclusive photo and video editing software... interchanging lenses... entice me on something other then nice price and run of the mill top notch specs... other wise i dont mind my nexus 10 and knowing i have a beautiful screen and quality roll out updates. an android with metro/modern-ish UI?